Today, developers have published the first beta version of the game to test and identify bugs. If you have Console Edition installed, then the game will update automatically. Bear in mind that Minecraft Pocket Edition is now called Minecraft without a PE prefix. This is done to better understand the editions, while Minecraft for computers has received the Java prefix. 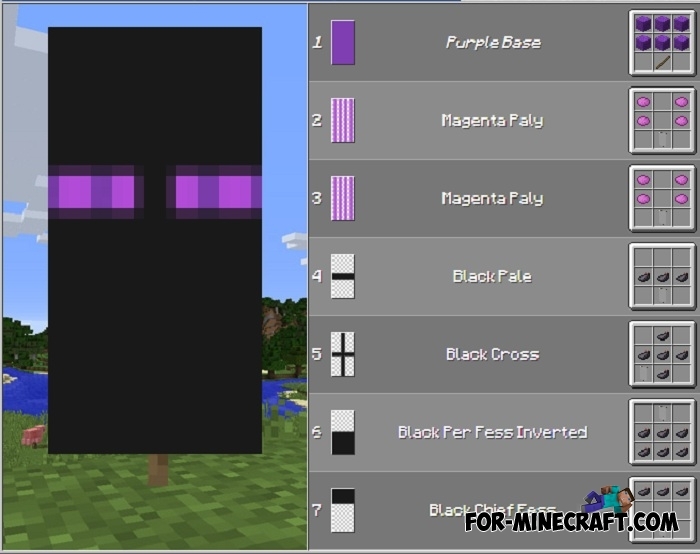 As we expected, Mojang surprised us with new features such as armor stands, parrots, banners and much more. The whole list is below. Dolphins are changed and received new sounds. Changed textures for new items. Updated UI for Education Edition. Added new mobs - dolphins. A new color of water, everything looks different under water. New type of structures: underwater ruins and caves. Sea pickles emit a glow that is clearly visible from afar. New items: Heart of the sea and nautilus shell (not functional). Objects float and remain on the surface of the water. The textures of new objects and blocks have been changed. Corrections related to spawning in the oceans. Ocean Biomes are divided by temperature and depth. New fish species as separate mobs. Hidden treasures. Treasure maps have been added separately. Blue Ice blocks and Icebergs. New physical properties of water. New animation for the sprint in the water. The ability to tie a leash to boats. Added a new option is friendly fire. Smooth transitions in the game menu. Added search to the MCPE market. Palleted chunks. In fact, this means an infinite number of blocks. Many bug fixes including redstone torches and golems bugs. Also, the controller settings are added. Having fallen on a hay bale you will get a small damage. Active area settings is added to the world settings. Purchased skins are displayed at the top of the skin menu. Available for Android, Win10 and Xbox. iOS version will appear later. The worlds parameters are moved to the world settings without activating the cheats function. Time spawn mobs reduced and now find them is not difficult. There is nothing new here, but you probably will not see annoying bugs anymore. Fixed the problem of converting worlds. Fix many errors for Minecraft Xbox One. There is no damage when descending from the stairs. New textures of solipeds (horses, mules, donkeys). Very quickly came a new version of MCPE- 1.2.1, given that release 1.2 took place only last week. 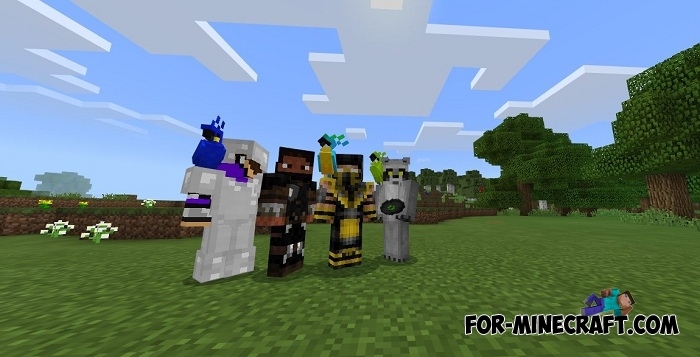 The new version is devoted to bug fixes, and Helen Zbihlyj (Minecraft Community Manager) noted that many errors related to graphics will not be fixed. The fact is that Minecraft PE 1.3 will refer to the graphics of the game, which means that such errors can lose relevance in the development of this version. Free cursor to the inventory screen. The version is called MCPE 1.2.0.31 and contains not only bug fixes but also some features about which are written below. Added coordinates that can be activated in the worlds settings. Added the ability to copy worlds (located next to the name of ur world). Developers continue to correct errors found by players. Probably, the release will occur in early September, as the seventh build is an intermediate. Now jungle leaves are transparent if the Fancy Leaves option is turned on. You will hear updated sounds when a creeper explodes. Now the installed skins are working. The selected dimension is displayed when the world is loaded. Fixed mobs are not properly spawned. Fixed bugs with the interface. Now you will see a noticeable selection of the area between recipes and inventory when using the recipe book. Items in the recipe book are now animated during crafting. Tips for using the recipe book for beginners. The ability to increase FPS and improve performance (Plutonium mode). Fixed a huge bunch of bugs. Fixed errors when connecting to servers and also a problem with nametags. New feature: Code Connector (Win10 only). At the moment there is no detailed information about this function. The main purpose is programming, creating addons and other features associated with the program code. Fixed a lot of bugs related to new items. Recipe book is now more convenient to use. Increase FPS for all devices. Fixed lags during the battle with blazes. Fixed a lot of crashes when using recipes books, fireworks and entering the worlds. The Win10 version also received many fixes. Textures now do not disappear. It's time to collect information about the next update that may appear already in late summer. 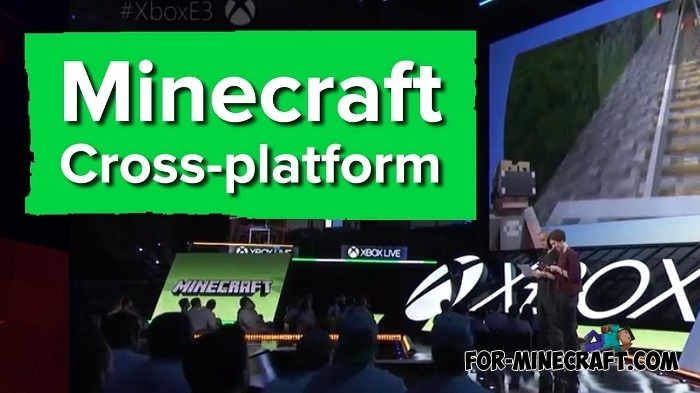 Virtually all the details of the game are taken from developers tweets or analyzing Minecraft PC. Sometimes Mojang hints to the players some of the features of the upcoming update. In order not to search for these tweets we collect all the information in this article. 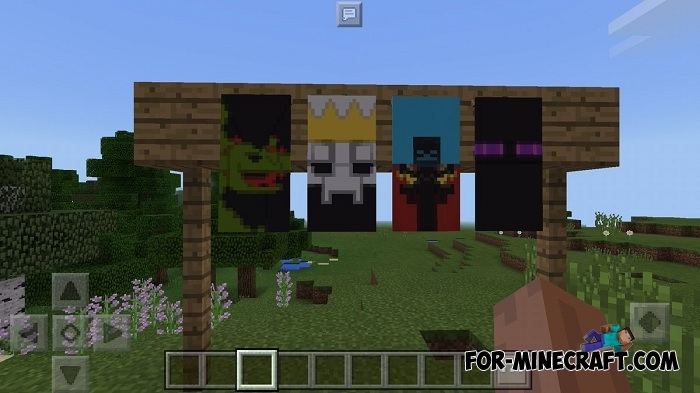 The first confirmed news are banners to be added to Minecraft PE 1.2. Jason Major started to work and pleased the players with fresh screenshots showing how they work. As you can see, they look great and there will appear enhanced customization functions, apparently. Creating banners is not a difficult task and maybe the Pocket Edition will get a new interface for this. Do you like to make notes or write stories? The book is the second confirmed thing that can be added to 1.2 with a high probability. Books like in real life can store your notes, coordinates and save all your accumulated knowledge. Probably, bookcases will also be used in MCPE 1.2 with new features. Stained glass has long been one of the most anticipated features for builders because houses are turning into real art with its help. Version 1.1 contains many multicolored blocks and colored glass will add more uniqueness and beauty. In addition, the glass transmits light perfectly. The ice will become transparent as confirmed by this gif. This is quite logical when you can see something through the ice. Although this is not such a major feature, it's still better than nothing. This is not surprising because fireworks have long been an unrealizable feature of MCPE. I think now the time has come when the developers will add this to the list of updates. Using fireworks you can cheer yourself and your friends and long nights will become interesting and not forgettable. 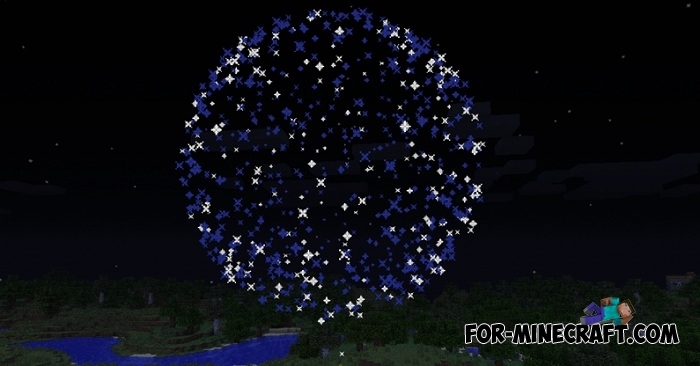 There are several types of fireworks for crafting with different colors. Banners are perhaps one of the longest-anticipated items in Minecraft PE. The Better Together update will probably get banners displaying beautiful patterns. These beautiful things are perfectly combined with medieval buildings and can decorate the walls. They are attached to hard surfaces or can be placed on the ground. Books can contain different information written by players as in real life. Basically, books are often used in mini-games or passing maps to familiarize participants with rules or background. There are several tricks such as changing the color of the text, underlining and other styles. With their help, you can stylize the text at will. Books will necessarily appear in MCPE 1.2. It's hard to remember when the color glass was added to Minecraft Java. Since then, a lot of players are looking forward to the possibility of painting glass blocks and panels, but the developers are not in a hurry to add it. Now we can say with confidence that colored glass is one of the update points. In this way, everyone can put that colored glass he wants. The huge windows will look delicious! Beginners use a browser or third-party apps to see the desired crafting recipe. 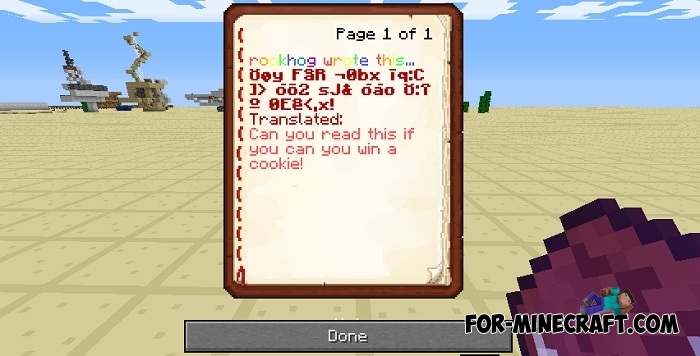 From now on, the Better Together Update will allow players to find out the ingredients of any recipe using a special book containing a lot of useful information. This does not greatly help those who have played the game for a long time but inexperienced players will appreciate this opportunity. Now owners of consoles and mobile devices will be able to play on one server! This is great news for both regular players and Minecraft server owners. Mojang has long been developing this feature, but only recently did it appear that the multiplatform is almost complete. After a while we will be able to play along with Minecraft Java players, since all the editions will not have many differences. Probably the new interface will not be liked by many players who have been playing Minecraft PE for a long time. On the other hand, the classic interface has several advantages such as the flexibility of crafting and the similarity of the PC version. This is the third type of interface in the pocket edition that represents a choice for all players with any requirements. The classic interface takes up almost the entire screen and contains the same elements as the standard one. Do not forget that the article is constantly updated and that's not all that will be added to Minecraft Pocket Edition 1.2. Leave your comment if you know something new.